We are delighted to announce the publication of the long awaited English translation of Nishikigoi Mondo. 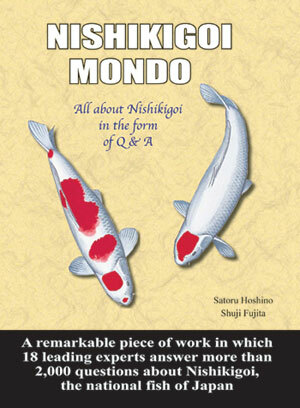 Containing 392 pages with over 2,000 questions answered by 18 leading Nishikigoi experts, Nishikigoi Mondo is the ideal book for any hobbyist looking to further their knowledge of Nishikigoi. The English version of Nishikigoi Mondo was edited by INPC and is published by NABA Corporation, Japan, a supporter of the INPC since 2005.